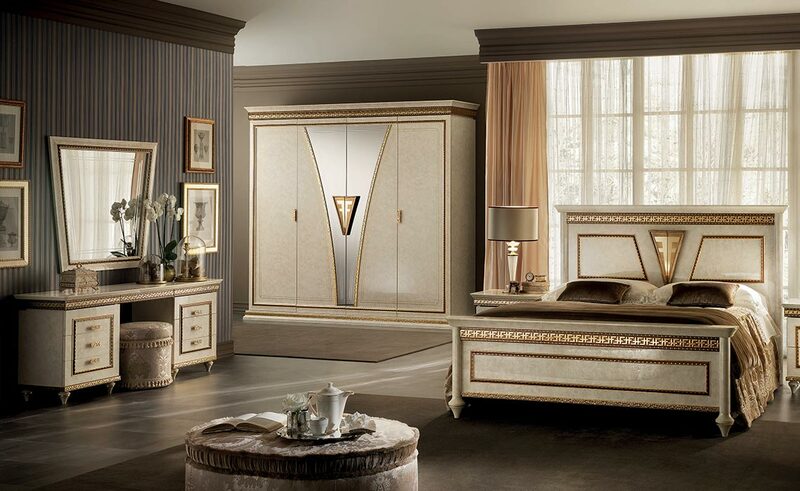 Structural lines essential and marble surfaces give life to a unique and exclusive design inside the Fantasia bedroom. 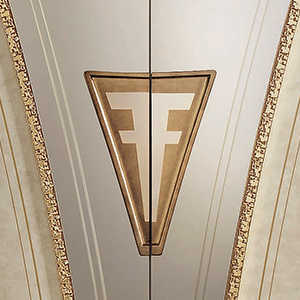 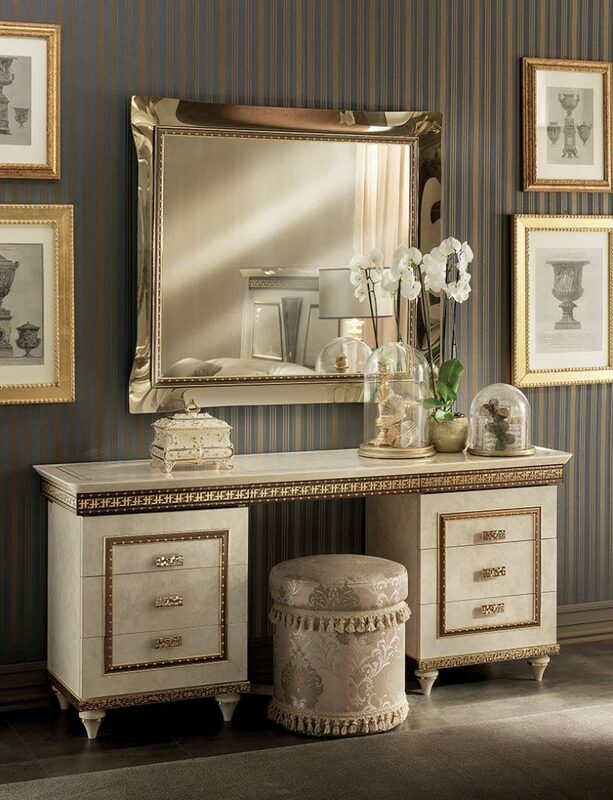 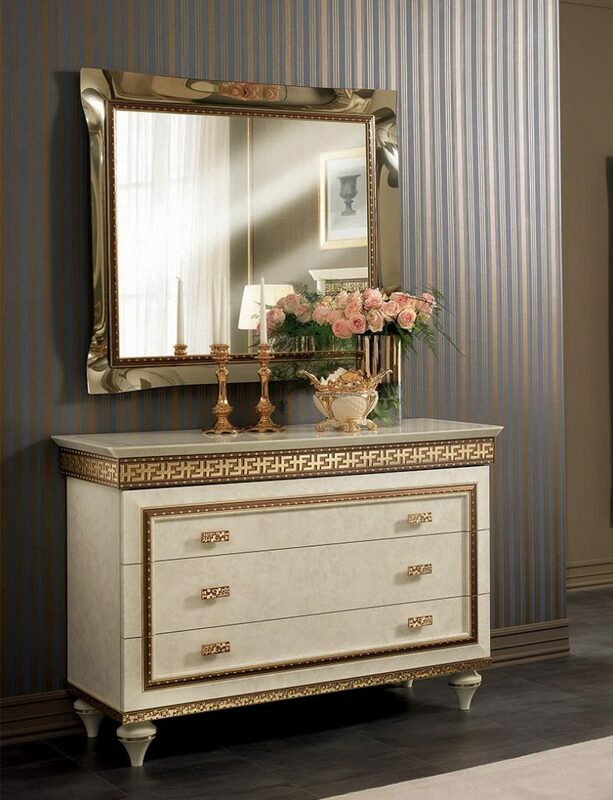 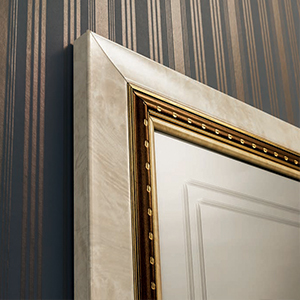 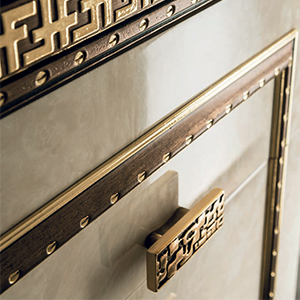 Precious and original details enrich the formal and material balance between modern and classic styles, easily recognizable in elements such as the dresser and the large mirror. 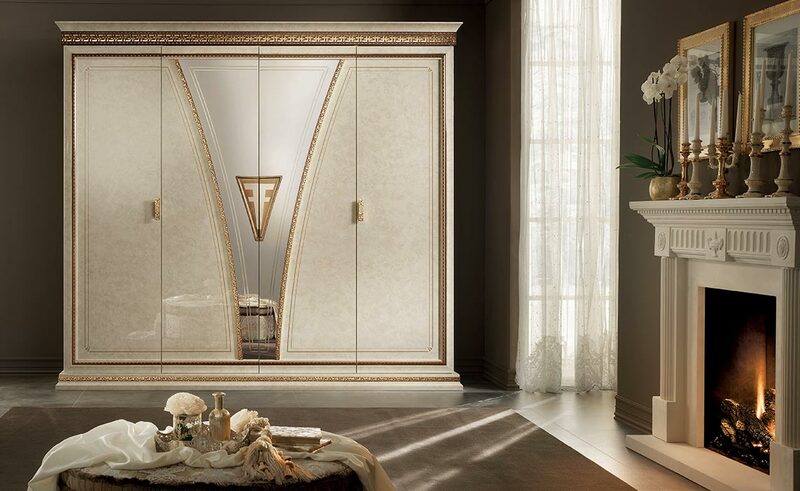 The elegant and characteristic leitmotiv of the double F, present in the decorations and central motif of the bed, grants elegance and personality to the furnishings, featuring highly sought-after functional elements such as the pull-out glass shelf of the dressing table.